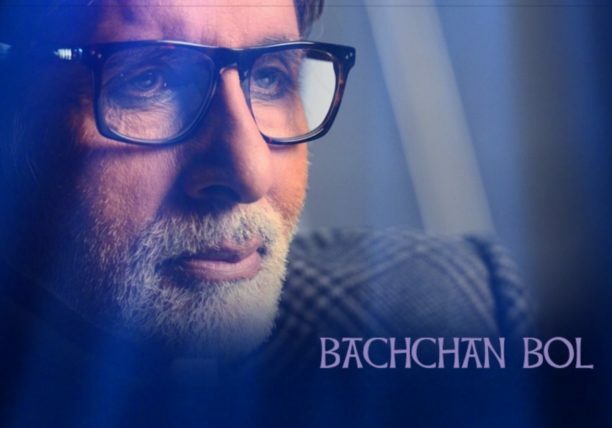 Mr. Amitabh Bachchan completes 10 iconic years of his blog today! 10 years of the most read blog of India by Amitabh Bachchan have been completed today on Apr 17, 2018 .. he began writing it on this day in 2008, and today marks 10 fantastic years of the blog, that has inspired millinos and created lot of excitement and news with his writing. Today is the 3676th Day .. Mr Bachchan has been blogging every day without a break for 10 years ..!! From playing a 102 year old character in his upcoming 102 Not Out with Rishi Kapoor releasing on 4th May.. to writing Blog non stop for 3676 days .. Mr Bachchan never fails to amaze us! April 17, 2008 a few words went out to the world of the airs .. and in the waves of connection some of them carried a recognise of them and sent some sentiments back .. and the next and the next and the next ..
.. and 10 years went by .. I knew no one .. and neither did any of you .. and then we all came to know each other and built a home .. the warmest and most hospitable in the entire world ..
.. does 10 years need celebration .. why 10 why not 11 or many more or other .. I have often wondered on these celebratory fawning .. each day is a celebration and each day is lived with the harmony of our togetherness .. this is the ultimate celebration ..
.. it is not just the continuity of my writings .. it is also the continuity of your feelings as well .. when you do not respond, I fear there has been a loss .. a loss is unbearable and so it remains constant .. the joint family of the Ef .. the Ef does not need elaboration .. it is now in developed character, a world, a living, a constant by itself .. it has strength of its existence and the affection of millions ..
16 queries in 0.702 seconds.